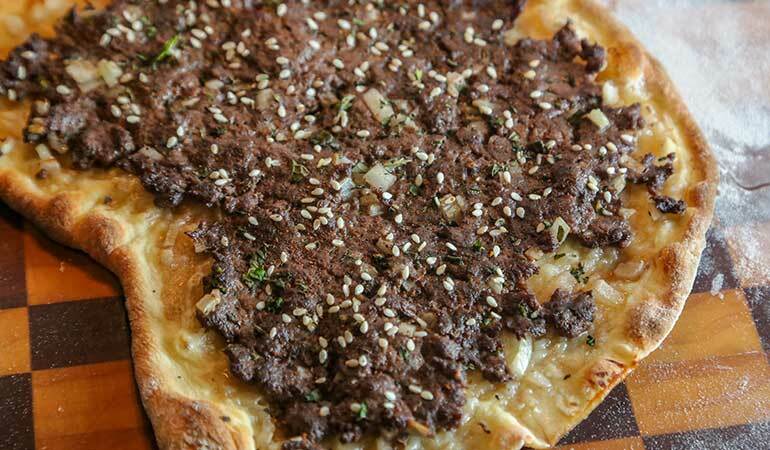 I first had this Middle Eastern meat “pie” a few years ago in a small shop in Orange County, California. I can’t remember what the restaurant was called, but it was unlike any “pizza” I’ve ever tasted. Distinctly Middle Eastern in aroma, the flat bread was topped with a thin layer of heavily spiced ground lamb. 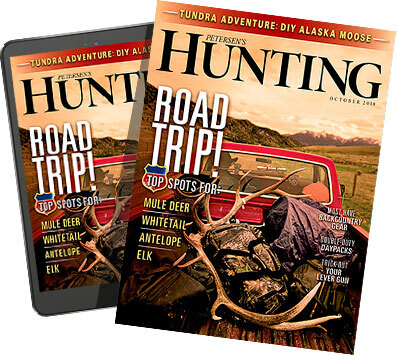 I loved it, enough to remember it until this day and recreate it with venison. This Lebanese flat bread is a lot like a good thin-crust pizza dough. Use the recipe from David Lebovitz referenced below, or use your favorite thin pizza crust. It was surprisingly easy to pull together. Do yourself a favor though and get a pizza peel. It will help make moving the thin dough so much easier. To make Lebanese flat bread dough, use David Lebovitz’s recipe. Follow steps 1 and 2 of his recipe only. Move the oven rack to the upper third of the oven. Place a pizza stone/steel on the rack and preheat the oven to 500 degrees for at least 45 minutes. 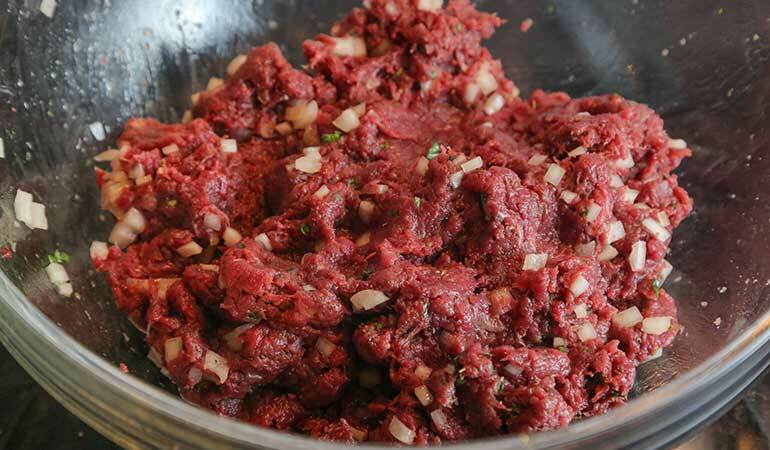 In a medium bowl, combine ground venison, kosher salt, sumac, oregano, coriander, cumin, allspice, chopped mint, onion, pepper and ¼ cup of olive oil. Mix the meat with your hands until it comes together into a smooth mixture. Set aside. 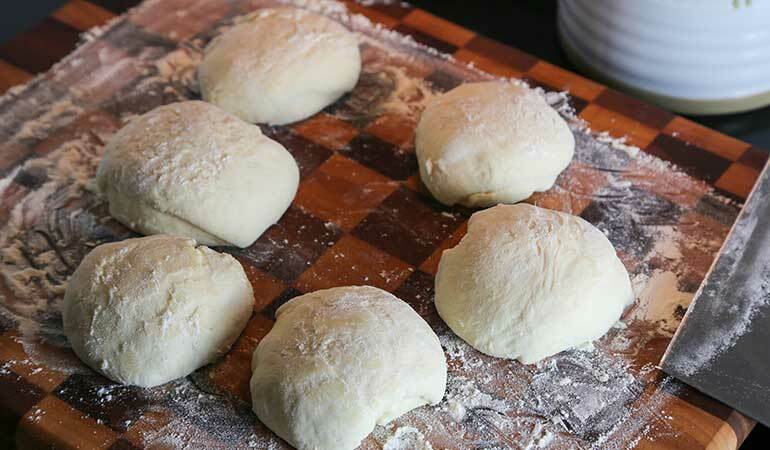 Divide Lebanese bread dough into 6 equal pieces. Sprinkle flour onto your work surface, rolling pin and a lay a piece of dough on top. If the dough is sticky, lightly flour that as well. Roll out the dough thinly. Spread a thin layer of the meat mixture on top. Do not spread too thickly or the crust will not cook properly. Sprinkle with sesame seeds on top of the meat to taste. Transfer the flat bread onto a pizza peel and slide onto the hot pizza stone. 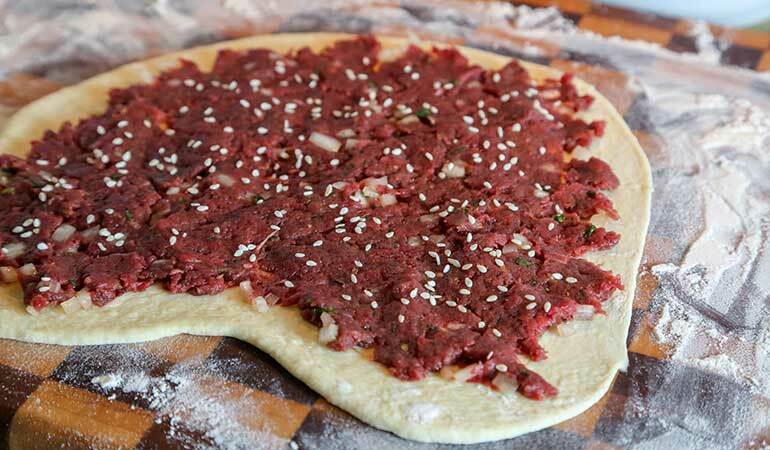 Bake at 500 degrees for 6-7 minutes, or until the bottom of the flat bread is cooked and browned. 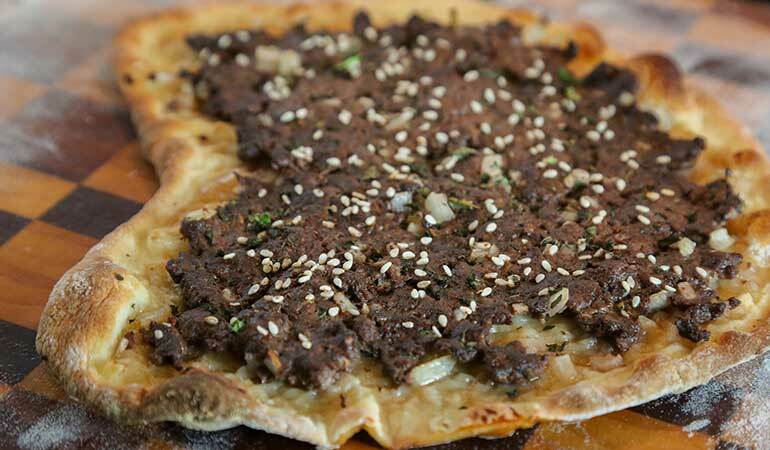 Sprinkle Lebanese-Style Venison Flat Bread with extra chopped mint, drizzle with olive oil, and serve with extra sumac on the side. Repeat steps 2-6 with the rest of the dough.